Atlantic City has been trying to revive its fortunes since the 1970s, when casino gaming was first reintroduced. For a time, it worked. Through the early 2000s, the destination recorded some of the highest gaming revenues in the country. But that may unfortunately have been its undoing. This past weekend the Showboat Casino Hotel closed, the first of three casino resorts that will shut their doors this month. The other two are Trump Plaza, which is closing Sept. 16, and Revel, which opened less than three years ago and is now closing Sept. 1 and 2. Collectively this will throw some 8,000 people out of work, something that Atlantic City can ill afford. The town began the year with 12 casinos, but that number will be down to eight before the end of this summer. Maybe titling this column “The Death of Atlantic City” is an exaggeration, but clearly the resort town has focused on the wrong message and the wrong partners in terms of its promotion. What went wrong? Atlantic City had one of the largest annual advertising budgets (some $30 million a year) to promote itself, as mandated by a state law that required casino resorts to fund the campaign. It had a popular HBO series, “Boardwalk Empire,” which recalled the prohibition years and gave the destination more visibility. It had new and revamped resorts in Revel, the Borgata, Harrah’s and Golden Nugget, among others. I’ve been a keen observer of Atlantic City for the past 15 years. I remember speaking to the city’s hotel association at a lunch back in 2003, just before The Borgata opened as the first Vegas-style casino resort in Atlantic City. Back then, the gaming executives who attended that lunch seemed smug and satisfied, not recognizing the impact The Borgata would have. Their gaming revenues were pouring in and they just didn’t seem to understand the need to broaden the appeal of their resort beyond the slots and table games. Borgata changed all that—for a time at least! It brought a certain pizzazz to the destination that had been lacking. It focused on entertainment, great dining and top accommodations. Other resorts rushed to renovate and add new attractions and dining options, but I always had the feeling that their whole strategy was a bit half-hearted. When new gaming venues sprang up in nearby states, such as Pennsylvania, New York and Connecticut, Atlantic City was too slow to react. There simply wasn’t a need for visitors from New Jersey and surrounding states to drive two to three hours or more to hit the casinos on the Boardwalk. Another challenge for Atlantic City is that when gaming revenues were at their height, little was done to build up the town. The streets behind the casino resorts and the Boardwalk remained uninviting and even desolate. Sure, there were attempts at building a few shopping malls and a new transportation center, but there was little condo-like development aimed at attracting higher-end visitors and residents. Nor was there any real effort to add new entertainment zones behind the beach. When Atlantic City got its money for tourism promotion, it spent a lot on TV, radio and other costly media with its “Do AC” campaign. While the campaign did try to promote the overall entertainment value of the destination, it simply was too costly and I really wonder if the city got enough bang for its buck. I’ll also suggest yet another reason why Atlantic City has failed to attract higher-end visitors: It never embraced the travel agency distribution system. Las Vegas, in contrast, gets at least 25 percent of its visitors through the travel agency channel. I would doubt that Atlantic City gets more than the low single digits from the same channel today. Unlike Vegas, it did not work with major wholesalers or large travel agency groups to drive visitation. I know we tried on many occasions to get Atlantic City resorts interested in promoting their products to travel agents, but we were rarely successful. Instead, these resorts focused on the local, drive-in markets, which they thought would not be served by agents. In doing so, however, they lost the high-yield business that agents can generate for resort destinations. Over the past few years, I’ve attended several travel agent shows in Atlantic City. Invariably the resorts often failed to recognize that agents were even meeting in their town. A couple years back at Revel, which had just launched, the executive team didn’t even bother to speak to the agent group I was with, nor did they even host a reception or try to promote their new facility to those attending. RELATED: What Can Save Atlantic City? So is Atlantic City truly dead? I certainly hope not, because there truly is potential for this “Vegas by the Sea” resort town. What other casino resort destination in the U.S. has such incredible beaches, such history and such iconic places like the Boardwalk? Yes, there might have been too many casino resorts in Atlantic City, so a few less in the coming years might help boost the fortunes of all. But the destination also has to make sure it promotes itself through all distribution channels, including travel agents. 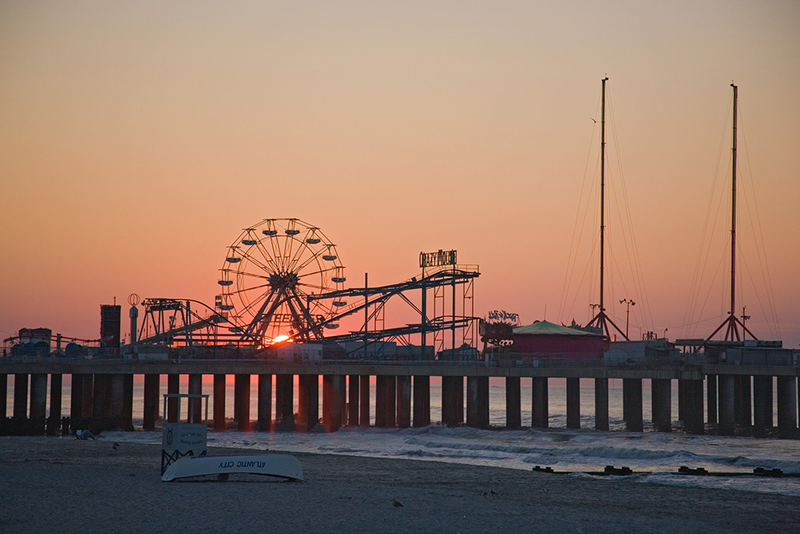 It also has to promote marquee entertainment, great dining, golf, the Boardwalk and its magnificent beach. It has all of these attributes in spades, but for the public at large Atlantic City is still perceived as a gaming town, not as a full-fledged resort destination. There’s still time turn things around. Indeed, I know there are plans for a major travel agent event next year in Atlantic City, which might be a good place to start establishing a new relationship with the travel agency market. If the destination doesn’t do these things, however, it runs the risk of further casino closures and more people being thrown out of work. Atlantic City could become what it was in the 1960s and 1970s—a ghost town of a few resorts and lots of surrounding poverty. For me, the only reason to go would be the beach and a sub sandwich at the White House (which has been serving the best subs in New Jersey if not the entire East Coast for 65 years).